Foursquare’s partnerships with media companies continue to add up. The location-based social network just inked a deal with restaurant rating guide Zagat, The New York Times, HBO, Warner Brothers, and the History Channel. And a few weeks ago, Foursquare announced a partnership with Bravo. Today, the startup is expanding to the magazine sector with a partnership with Conde Nast’s Lucky Magazine. In time for New York Fashion Week, Foursquare and Lucky Magazine are partnering to allow Foursquare users who are attending the event (show-goers, party-goers, designers, etc) with tips for the best places for a cocktail, WiFi, coffee, etc, near all show locations. So if you check into a show location on Foursquare, Lucky will give people tips on where to go near these big venues in-between shows. Each location will be hand-picked and recommended by Lucky editors. But the meat of the partnership is in a long term deal where Foursquare users can check into stores in Lucky’s coveted “Shopping Directory,” which includes nearly 700 stores in 30 states and 72 cities, and earn the “Lucky” badge. 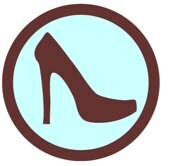 Once users check-in to a Lucky recommended store, users can read tips from Lucky editors about each boutique or store. The idea is to give users editorial insider scoop, a.k.a. incentives, to check-in. User who check-in to these boutiques may also receive discounts and or deals at some locations. Lucky’s long-term strategy is compelling; they want to co-sponsor “boutique crawls” (similar in idea to pub crawls) for users to earn deals and badges. The partnership isn’t surprising considering Lucky’s current strategy towards expanding their social shopping technologies and Foursquare’s penchant for striking deals with mainstream media organizations. I have to wonder what the monetization deal is for Foursquare with all of these deals, especially if there is e-commerce and transactions involved. The same goes for the Zagat deal. Lucky declined to comment on whether there was a financial deal involved. Regardless, these types of deals are crucial to Foursquare not only because they point to an eventual money-making opportunity, but also because they give the service a way to fend off attacks from Yelp (which just launched a check-in feature on its own iPhone app), and soon Facebook. Meanwhile, these deals give brands a fun way to interact with the public. It’s advertising, but it’s interactive. The deal with Lucky is particularly interesting because it involved a magazine and e-commerce rolled into one partnership. Foursquare has been on a roll lately. They’re now seeing over a million check-ins a week, with that rate doubling in the last month alone. And these new deals can only help them as they bring the type of mainstream appeal that it took services like Twitter so long to find. As for Lucky Magazine, it appears that the publication is the first magazine to be venturing into the location-based game. It’s wise for Lucky to be embracing social media, and leaves me wondering if we will see more Foursquare deals with Conde Nast publications in the near future.